It’s a weird, grotesque, and absurd blend of horror and comedy. The movie itself is kinda old and I saw it for the first time many years ago while I was packing for a holiday camp late at night. 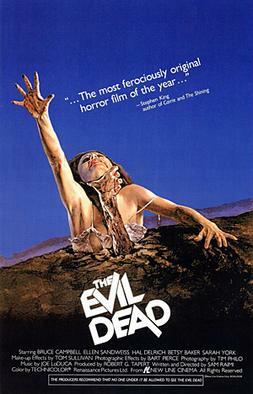 The following year, when I was packing for another holiday camp, I turned the TV on and, surprise, Evil Dead was on again! It happened again a few more times, so I guess we’re stuck together. I love the main character, played by Bruce Campbell. He doesn’t take himself seriously, which gives his character some much needed ironic dimension. I’d recommend it to everyone who likes weird, gory, goofy stuff! 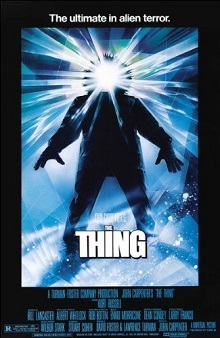 John Carpenter’s cult movie is the apotheosis of horror films, in my opinion; perfect casting; perfect direction, atmosphere, and screenplay; perfect cinematography by Dean Cundey, and; perfect music by Ennio Moriconne. It all makes for a film that is gripping, unpredictable, and tremendously unnerving. What really adds to this livewire and chilling film is the creature design and animatronics by Rob Bottin, making him the an invisible star of the movie. Even today, these outshine many modern films’ CGI in terms of being not only convincing, but super scary. What makes this film so scary is just how weird it is. 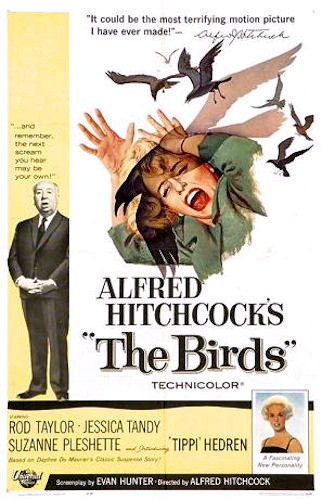 There’s no music and the sounds of the birds are given eerie electronic treatments. There’s so much of Hitchcock’s masterful creation of suspense through his direction here. So much so that the film gets right under your skin and is incredibly frightening. I consider this one of the best horror movies of all time. The slow action, the solitude in the Overlook Hotel during the winter, and those tiny little details of Jack’s growing madness puts me on tenterhooks. I sat on the edge of my seat the whole time I watched it for the first time, and I still do every time I rewatch it. 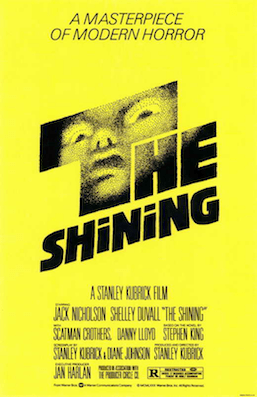 The transformation of Jack Torrance, played by true genius Jack Nicholson, made such an impact on me at the age of 16, I ended up focusing BA thesis on The Shining. The first part of the series is my favorite horror movie. This one is terrifying because the whole movie is recorded from the perspective of a journalist, where we see everything through the lense of a camera. For a long time you there’s not even any indication of how the movie is going to turn out, meaning the plot twists take you by complete surprise many times. Do you think these are good choices for our list of scariest movies? Do you have any other favorite horror movies that you’d like to add to our list of horror films? 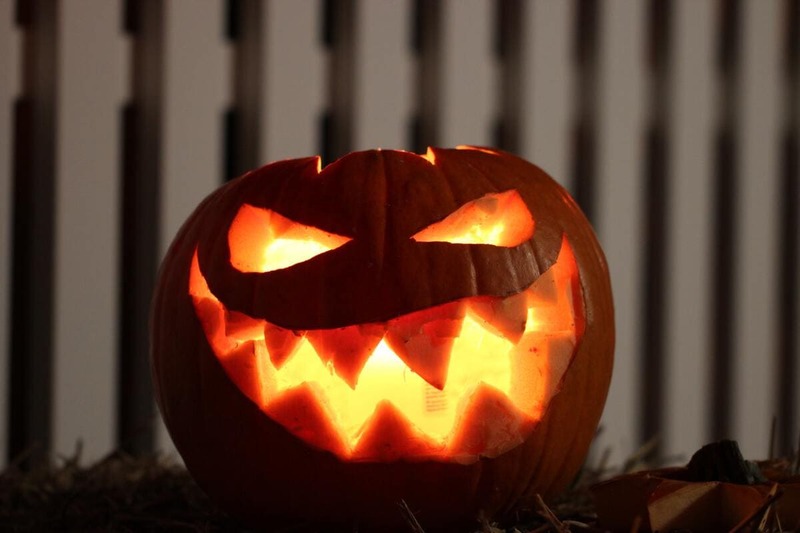 For more inspiration, check out our other articles in our Halloween section.